Extracellular vesicles (ECVs), including microparticles (MPs) and exosomes, are submicron membrane vesicles released by diverse cell types upon activation or stress. Circulating ECVs are potential reservoirs of disease biomarkers, and the complexity of these vesicles is significantly lower compared to their source, blood plasma, which makes the ECV-based biomarker studies more promising. 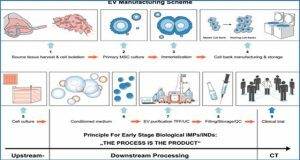 Proteomic profiling of ECVs is important not only to discover new diagnostic or prognostic markers, but also to understand their roles in biological function. 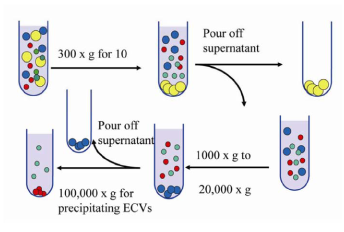 In the current study Lund University researchers investigated the protein composition of plasma-derived ECVs isolated by acoustic seed trapping. Additionally, the protein composition of ECVs isolated with acoustic trapping was compared to those isolated with a conventional differential centrifugation protocol. Finally, the proteome of ECVs originating from ST-elevation myocardial infarction (STEMI) patients was compared with healthy controls using label-free LC-MS quantification. The acoustic trapping platform allows rapid and automated preparation of ECVs from small sample volumes, and therefore well suited for biobank repositories. The researchers found that the protein composition of trapped ECVs is very similar to those, which were isolated by the conventional differential centrifugation method. and purification of circulating extracellular vesicles (ECVs). 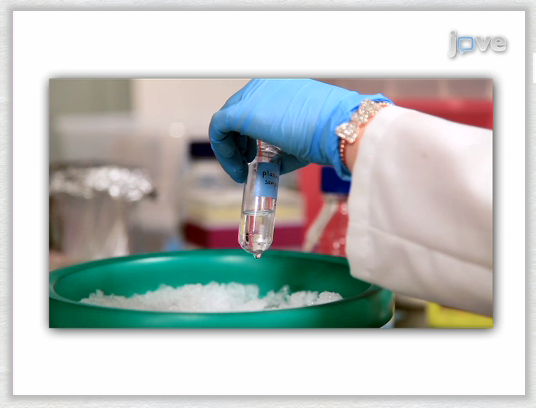 1-2) 12 μm polystyrene seed particles are aspirated and retained in the acoustic trap while excess particles are removed. 3- 4) sample containing ECVs is aspirated across the trapping zone and the ECVs are acoustically enriched on the seed particle cluster. 5-6) the enriched ECV/seed particle cluster is washed from plasma components and released into 30 μL PBS buffer.